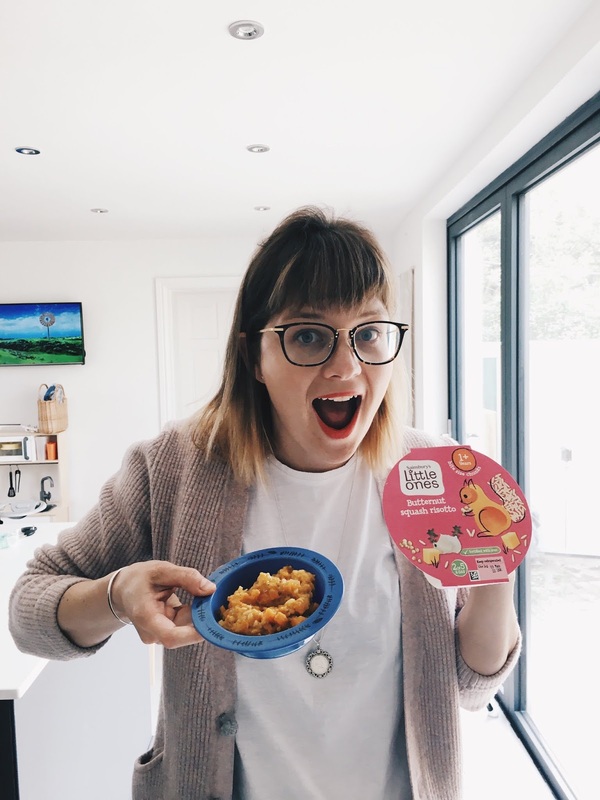 When it comes to eating, things didn't start off well with G. I started weaning at six months but had to stop soon after because the reflux that she suffered with as a baby returned with gusto. 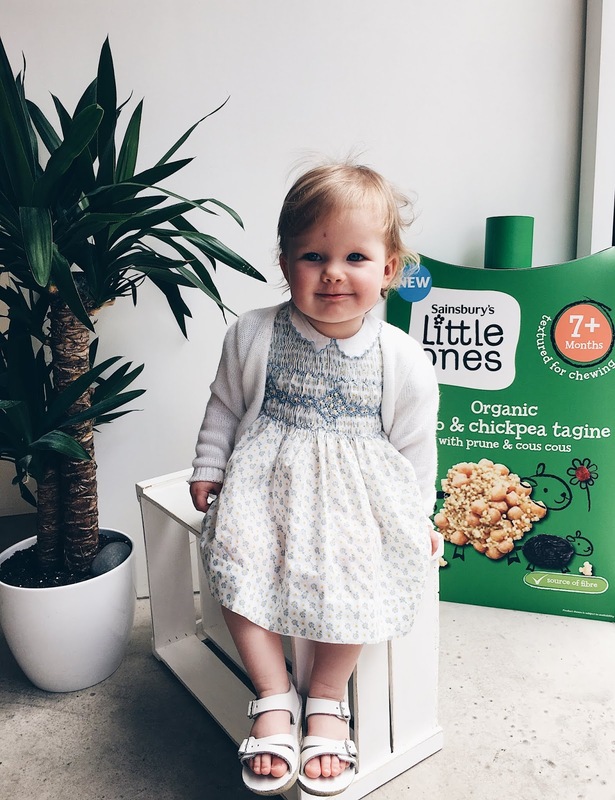 I was given mixed advice and decided to delay solids for a little longer, so she didn't start eating 'real food' until she was around eight months old. I followed the NHS baby-led-weaning advice but very little was going into the mouth to the point that she'd be half hungry all day long. This mummy does not run an all day buffet. Call me old fashioned but I like eating to be done in the seated position. You'll thank me in twenty years time when she's not that girl eating pickled onion monster munch in your office lift. I jest, sort of. We hobbled on from this point, I slowly got bored of trying to create balanced meals because I was so used to the meat and veg being pushed aside and the pasta being consumed clean! I'd become a bit despondent I suppose, so our collaboration with Sainsbury's could not have come at a better time. They kindly sent over a fridge-full so she's been taste testing ever since. 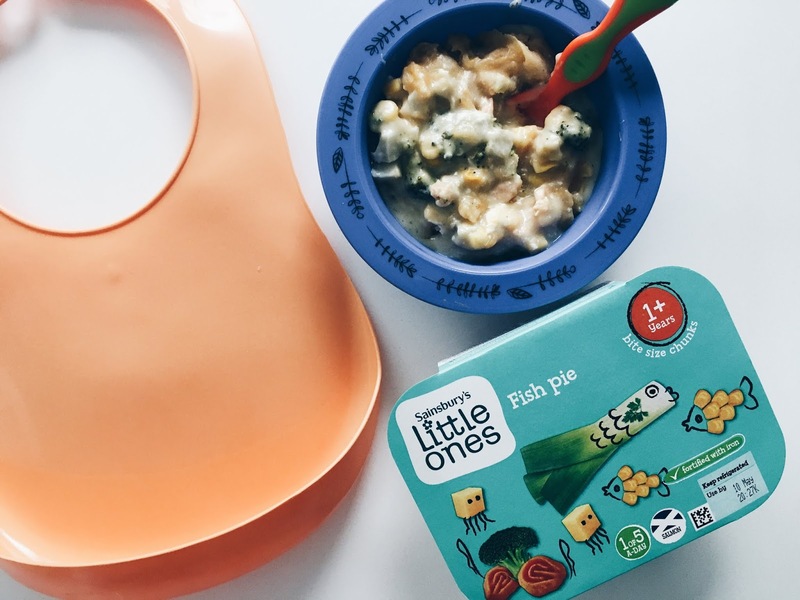 Sainsbury's Little Ones is all about creating healthy eating patterns, something that I knew I needed to improve on. I had a good chat with Fiona at the Launch event. We discussed G's eating issues and I left with a few things to try. First up, and it seems so obvious, but the mid afternoon milk had to go. It had occurred to me that she was filling herself up with milk an hour before dinner, but to be honest, I had been enjoying the peace and quiet for five minutes, she was old enough to ask for it "gog", she says bringing me a bottle, I had to use distraction techniques to avoid giving her milk for the first few days, but, oh what a difference it made. It makes total sense but sometimes you get so caught up in routine that common sense slides. It does for me anyway! She was hungry for her dinner and that really is the key! On the first day I gave her the cheesy pasta, stick with what we know, I thought. They had snuck veg into it that she didn't notice, she cleaned the bowl, then came fish pie, cottage pie, butternut squash, chicken curry with rice she liked all of them. I started to change how I approached her mealtimes too. 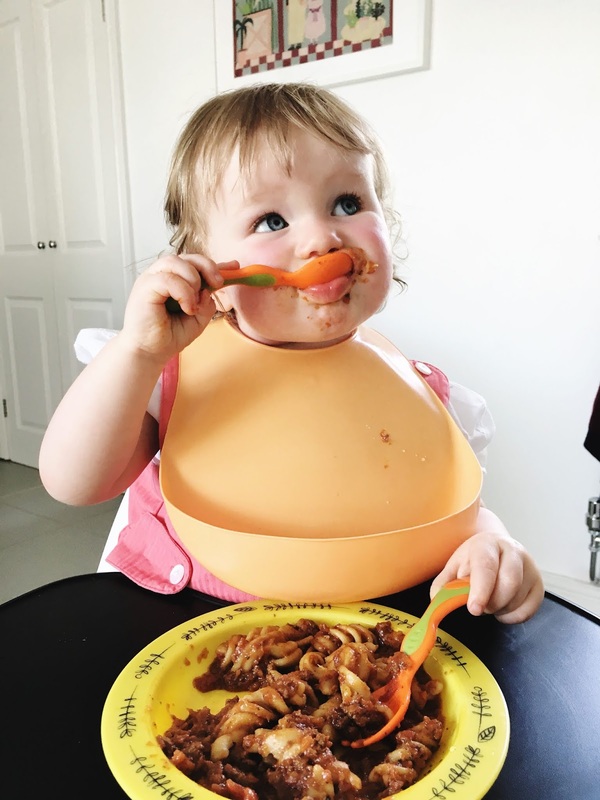 Becuase the meals all require cutlery, she needed a hand with aiming for the mouth, not to say she can't feed herself but she does have a habit of playing with her food, so I started sitting with her, putting nursery rhymes on spotify and actually enjoying her eating her food. Over the weeks I started to make other changes too. 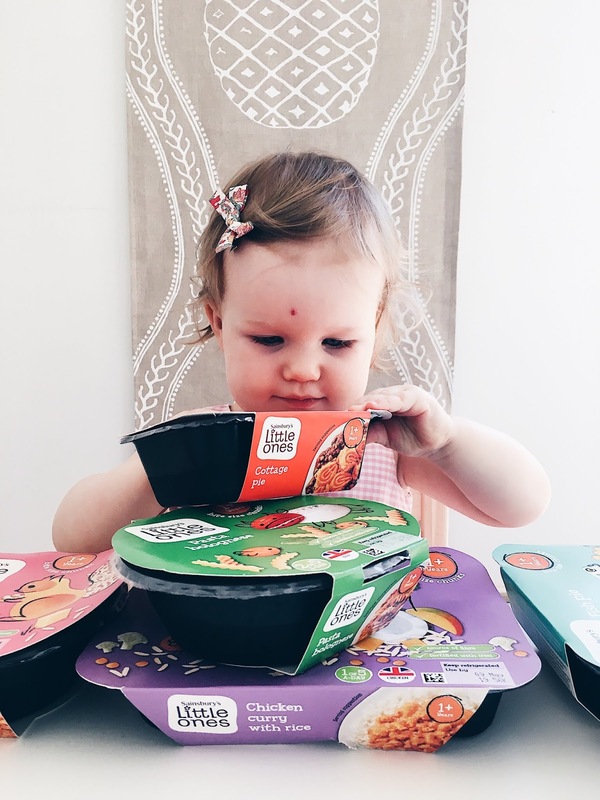 I brought dinner time to mid-day, because the meals are so easy to ping in the microwave for a few minutes I've got into a habit of putting them in just before I get her up from her nap so that they've cooled by the time she's ready to eat them. 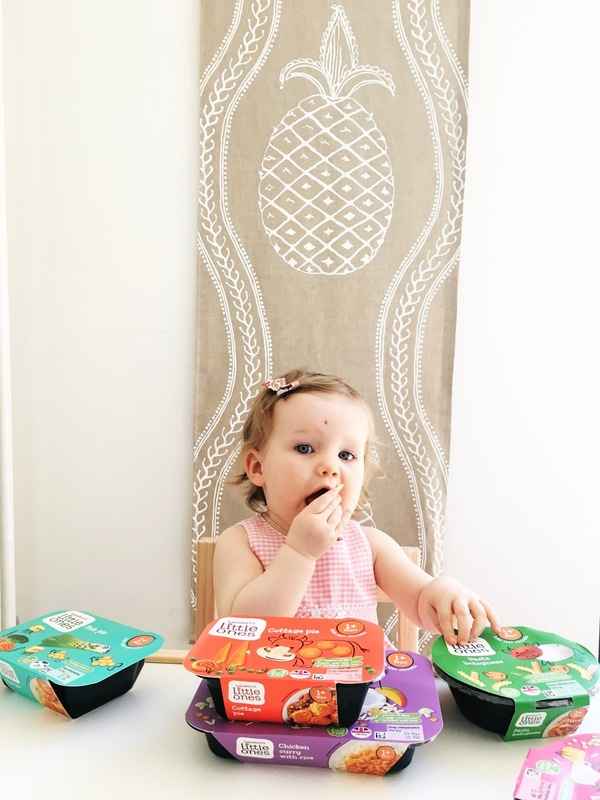 This improved things even further, she eats more happily in the middle of the day and it's so easy to fill her up before we dash off to a playdate. Sometimes I don't even dirty a bowl (shhhh). Other suggestions that Fiona and I discussed were that (shock, horror) perhaps TV is not so bad. 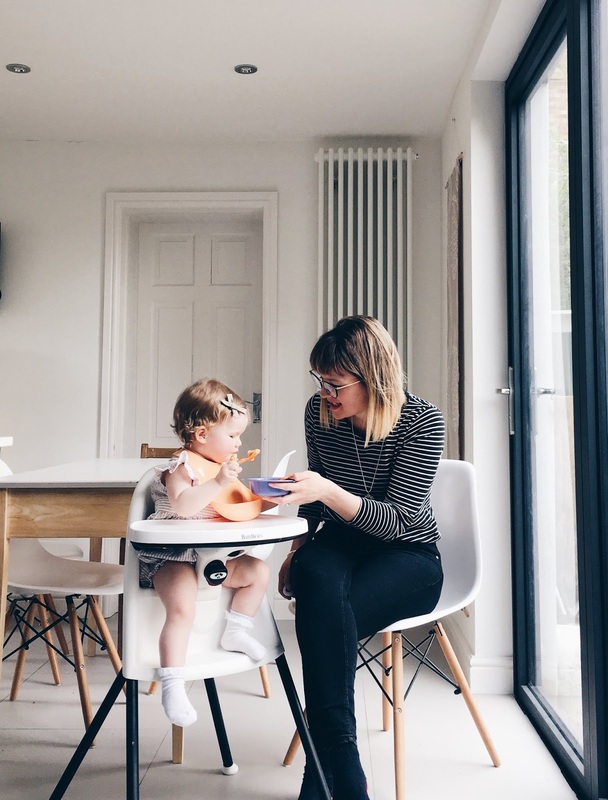 Passive eating might not be ideal for those that love their food but distraction is no bad thing when you have a child that's less than enthusiastic. I always have something going on in the background when I give her meals to her now. More than anything she reassured me that it's all quite normal for some toddlers to be fussy, not to push them but be more relaxed. She won't starve! She likes all of the meals, and doesn't leave much for us to try. Tom was genuinely disappointed when she ate all of her chicken curry last night. The risotto has to be my fave, it's really rich and quite sweet, no prizes for guessing where she gets her sweet tooth from! She, of course, loves the pasta, I can leave her alone with those ones too, because she picks up the pieces with her fingers. My fridge stock is depleting and while I will definitely buy the Little Ones meals again, Sainsbury's stress that this range is designed to supplement home cooking, and they have loads of recipes on their website, not just limited to dinners, either, there are breakfast ideas for toddlers too. We've already tried some raspberry and banana porridge fingers which went down very well! This experiment has really given me the confidence to try to recreate the dinner recipes too. Giving her the meals has given me a good sense of portion sizes, because I think overwhelming her with too much food may have contributed to the problems, it also gives me an idea of the sort of textures that she enjoys. 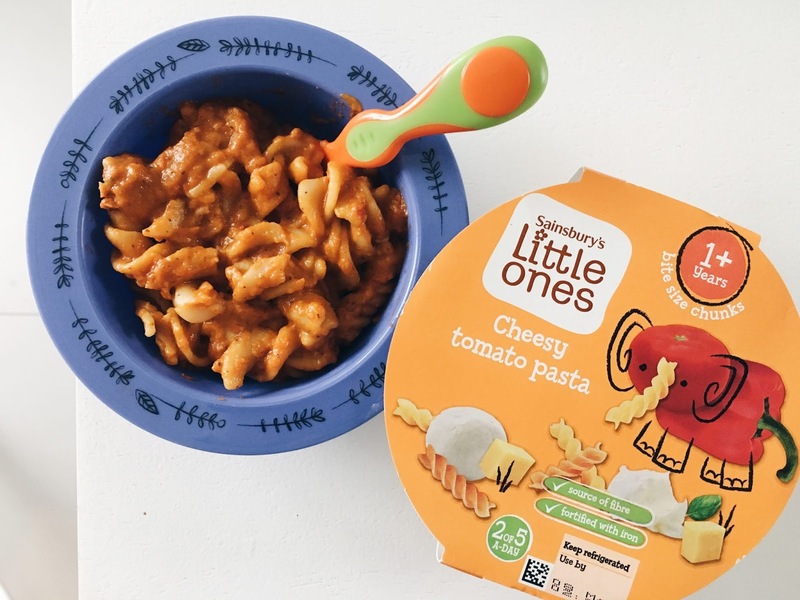 I don't want to give false hope, it's not a magic solution and I think it's a mixture of the meals, recipes and my change in attitude that has seen this huge improvement, but I'm so glad that I had the pleasure to work with Sainsbury's on the launch of Little Ones, and I think G is too! 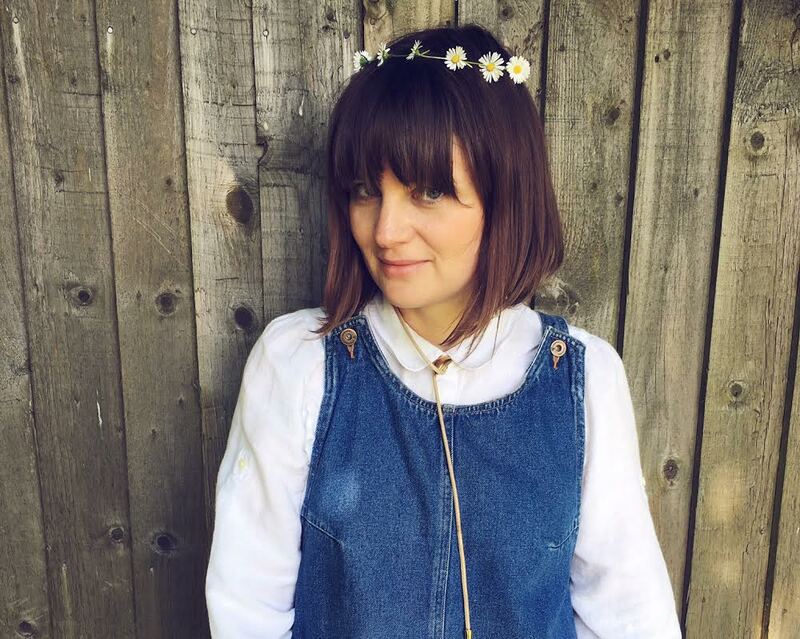 This post was written in collaboration with Sainsbury's. As always, all thoughts are our own. 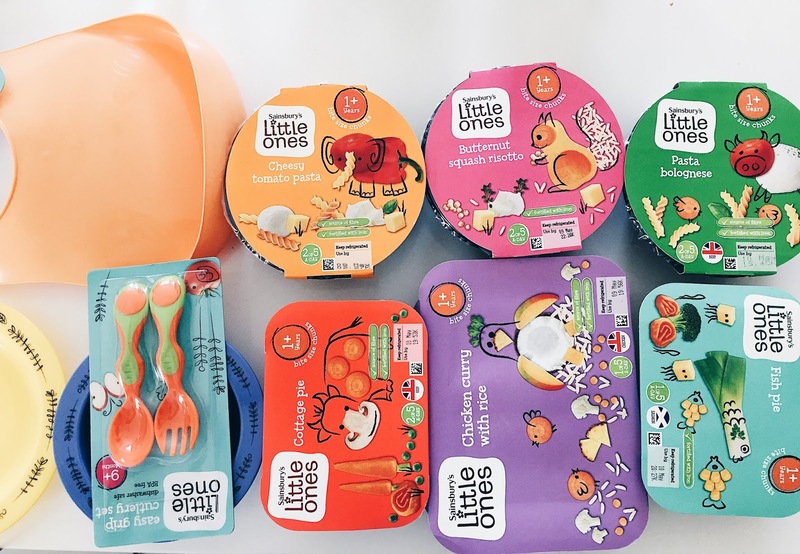 Find out more about the Little Ones range here.